Shelby Con-Rod Bottle Opener Keychain. 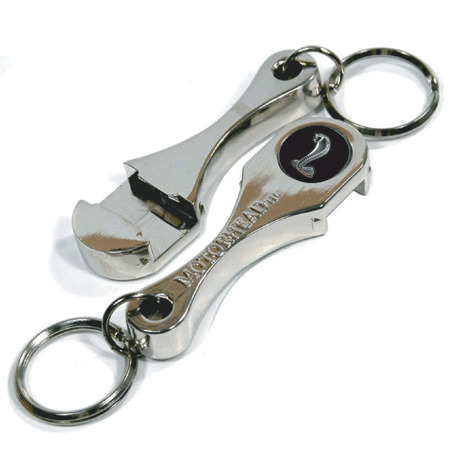 Combination key chain and bottle opener. All Metal Construction. Bright chrome plating. Heavy duty epoxy dome covered art. Two inches long.